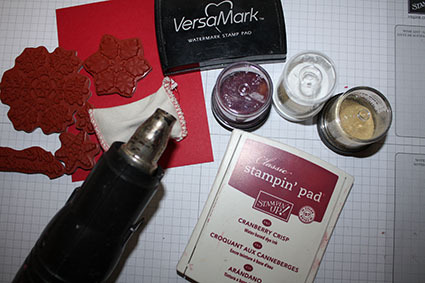 Hi fellow stampers. 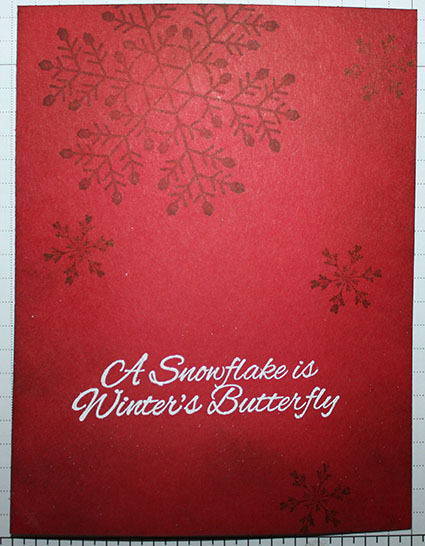 Beth Norman-Roberts here today with another snowflake card. I think this is one of my favourite winter/Christmas stamp sets because there is so much that can be done with it. 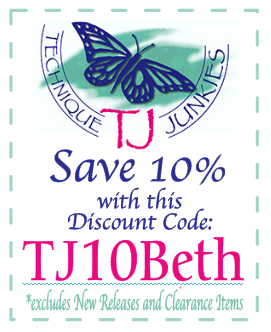 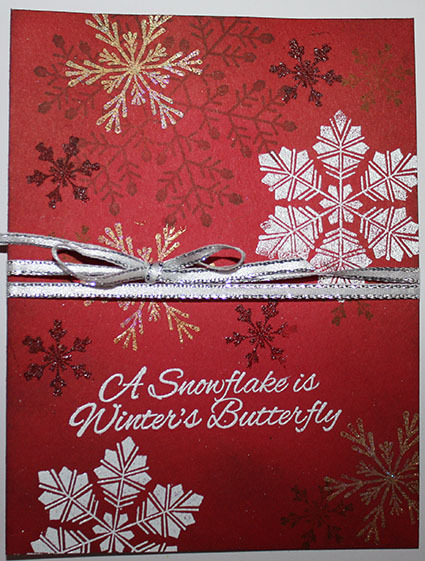 It is Called Snowflakes, Set of 9 and can be purchased at 10% off if you use my code TJ10Beth. 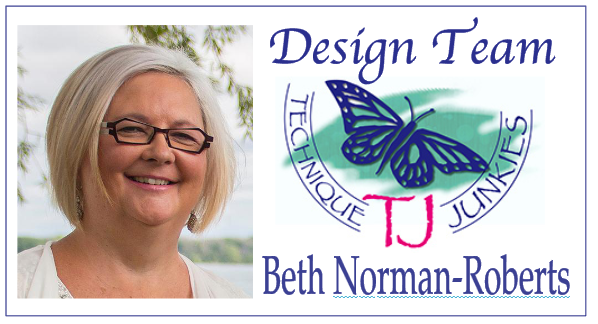 Today I'm sharing a tutorial on how to layer your stamps in a unique fashion. 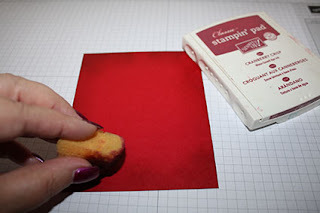 Using a darker colour of ink than your cardstock, sponge around the edges. 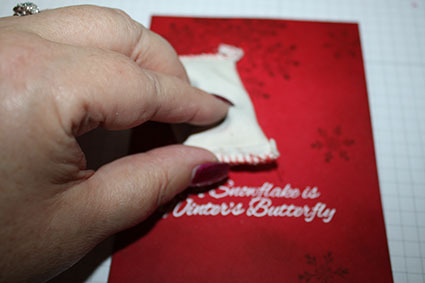 Take your largest stamp and stamp once or twice. Here I love to use my Misti because I can get a deep shade of colour by stamping two or three times. 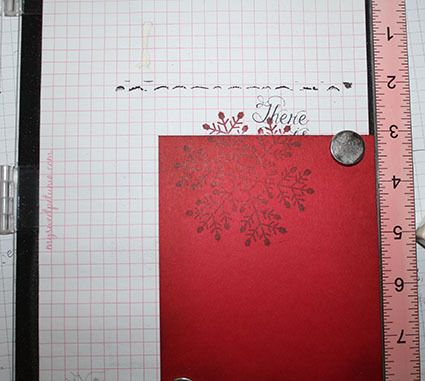 Using your embossing buddy, rub where you want your sentiment to go. 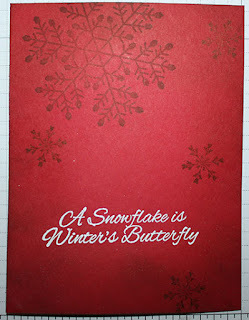 Heat emboss your sentiment and stamp out the smallest snowflake several times. You want to ensure your ink is dried completely before completing this step. 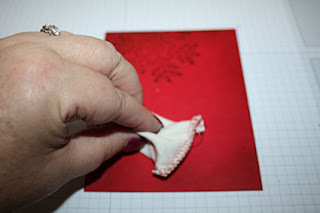 Use or heat gun to set your ink, or air dry for an hour like I did. 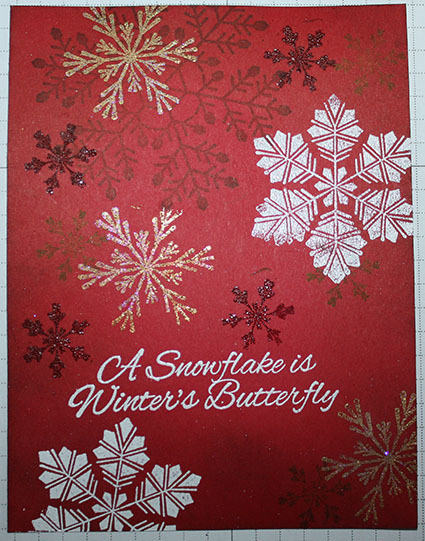 Using your VersaMark and embossing powders, randomly stamp out your snowflakes and heat emboss each snowflake. You are now ready to embellish your card with ribbon if you wish. 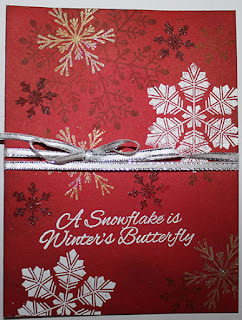 Gorgeous, love the layering and the different colors you used, it gives such great depth!